Stuart Grant is in the back corner of a Launceston café discussing equipment for distilling when I meet with him. I soon realise that almost all of Stu’s conversations are speckled with temperatures, quantities, sizes, measurements, times and dates. In the café, we are drinking the coffee he roasts; he also works one day a week at a local brewery. He enthusiastically shows me a photograph of some chardonnay grapes he picked recently from a vineyard and tells me their sugar content. By the end of the conversation I know more about yeast, coffee beans, and Australia Post prices than ever. Now, Stu is the brewer and part-owner of the new "online brewery" Ocho. Each month, Ocho will brew and release a single beer, available for purchase as an eight-pack and delivered anywhere in Australia. Drinkers can get it sent to their home, or to what the brewery hopes will be an expanding network of convenient pick-up points. Shipping is included in the price, and the price doesn’t change. It’s an incredibly simple way to sell craft beer, which begs the question: why haven’t we heard of something like this before? The idea itself came from his brother-in-law, Will Rainbird, a web designer based in Melbourne, but Stu has been homebrewing for 15 years, and in the last few years starting a brewery of his own has seemed inevitable. A few of his beers have already been brewed for a local bar (Saint John Craft Beer) and his home-brew is well-loved by those who’ve sampled it. But. with the concept of brewing, bottling and selling directly to folks around the country, Ocho developed quickly. The service is quick too. “There’s less than a week between bottling and dispatch,” Stu explains about his upcoming IPA, meaning wherever the beers are ordered from, they can be in the drinker’s hand within two weeks. 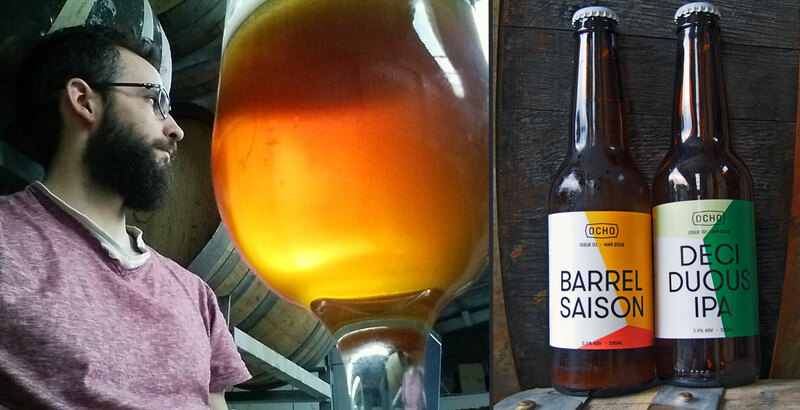 Ocho’s first beer, a barrel-aged saison, was released last month. It was brewed with wheat and oats, and then fermented in a Tasmanian whisky barrel for a month with a sourdough yeast strain. Stu Grant, of Ocho, and his first two online releases. “There have been no breakages yet,” Stu reports. What’s more, every customer has reported back to the brewery to say they enjoyed it. The second release was due to be bottled within days of our conversation. 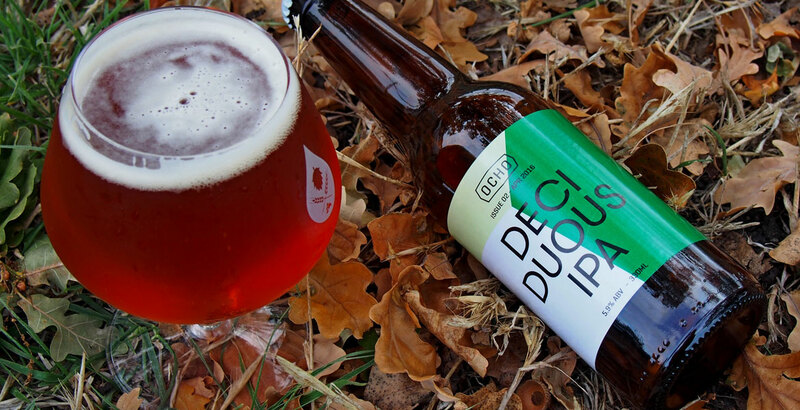 It’s one of Stu’s tried and tested recipes: a hop-harvest rye India Pale Ale, dubbed the Deciduous IPA. It uses both Ella and the development varietal HPA035 from Tasmania’s major hop growing estate, Bushy Park, and, he says, will be quite dry, with a toasty malt profile, a little rye spiciness, and some residual sweetness. The soft mouthfeel he’s achieved is what Stu seems most proud of, and he quite sincerely tells me that it may be the best brew of his life. The first keg was tapped in Launceston on April 23. That’s something that the online brewery doesn’t plan to do too often, but Ocho doesn’t need to be too precious about such things. “We just shouldn’t call ourselves an exclusively online brewery,” he says. At this stage, they’re happy for the opportunity to gain a little exposure and momentum as they jostle for a place in the craft beer consumer’s life. “You’re asking people to put trust in your palate,” Stu explains. He hopes the brewery can create a customer culture where people are eager to try Ocho’s inventive brews. The brewery is quite open about its ingredients, with each release profiling its malts, hops, yeast, and fermentation vessel. And, although I love vacillating in front of a craft beer fridge, I find myself excited by the thought of eight bottles of a different beer showing up each month, without my even choosing what it is – especially if I can expect it will be very good. Of course, one of the disadvantages of selling directly, to invisible punters through the internet, is the trouble with forecasting how many bottles Ocho should be producing. 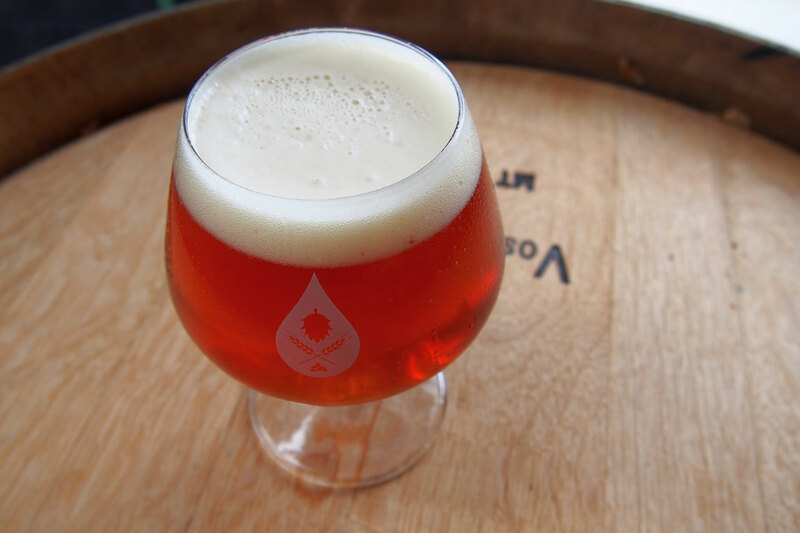 At this stage, the brewery is proceeding with small quantities and a recommendation on their website that people order sooner rather later, to avoid missing out. Stu agrees that one of the most exciting parts of starting a brewery like Ocho is devising the roster of releases. Those chardonnay grapes with the high sugar content? They’re going into something. Although it’s clear that chemical science has drawn Stu to the two varieties of brown water to which he has devoted much of his life, he in fact studied sociology – and it was his thesis on the culture of beer-drinking in Australia, in 2006, that has shaped much of his thought around brewing. “That was a fun year,” he recalls, but thankfully, his study on how beer culture a decade ago was not synchronised with Australian post-modernity or "liquid modernity" is "pretty much obsolete now.” But understanding that even in the beer scene the status quo is ever-changing has obviously influenced the Ocho concept and the styles Stu will approach as a brewer. As for the eight-pack (and the suave Spanish name): it’s just branding, of course, although in a happy coincidence having eight bottles in a box also maximises the cost of posting beer across the country. Branding is important, of course – Stu hasn’t studied sociology for nothing – but it’s a secondary concern. For example: Ocho is currently waiting for 10,000 white bottle-caps to arrive in the mail. They don’t look like they’ll arrive in time. Stu quickly moves on to talking about the mineral content of his brewing water. “Consistency is an illusion most of the time,” Stu suggests. He’s justifying why he’s happy to brew something delicious in a one-off, small batch. Yet there is a striking consistency to his own personality, even as it draws together disparate elements. There is a great child-like relish in his experimentations – this is a man who started roasting coffee beans by sticking a heat gun into a breadmaker. Importantly, there is pleasure: he scoffed three bunches of those chardonnay grapes. But there is seriousness, determination, and self-examination to do with his craft. 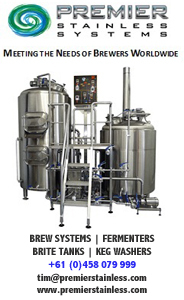 An “online brewery” could be shonky and unreliable, or it could be sterile and impersonal. Ocho is neither: the branding is smart (exotic words, warm colours), the communication is clear (ingredients, release dates), and the execution is exact. And so far, the beer has much to recommend it. Ocho is another simple experimentation. It’s nothing too ostentatious, and it’s certainly not a novelty, but it’s a good idea that hasn’t been done by many (or any) others. To order beer from Ocho, head to their website.